20 ft. high, painted steel, tinted laminated glass, sediment and plant growth from the Pacific Ocean floor, water, misting system; pavement level glass view port units, altitude markers. 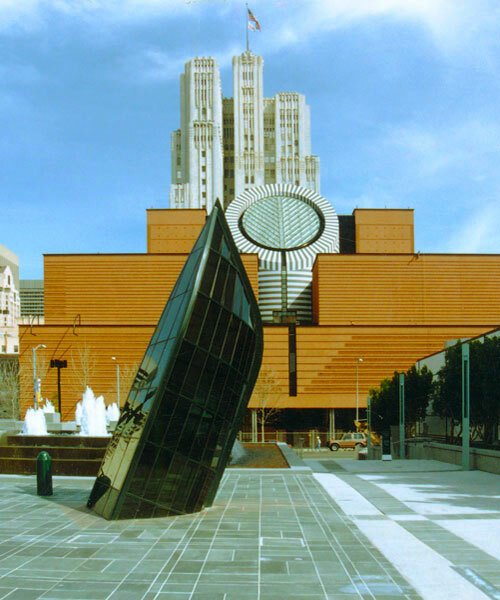 Full title: Deep Gradient/Suspect Terrain (Seasons of the Sea ' Adrift'), Yerba Buena Gardens, San Francisco, CA, 1993. This work is a permanent public work that refers to the origin of the coastal California landscape from sea floor sediments and the accretion processes of plate tectonics. The sedimentary material within the structure was gathered from the sea floor about 4 miles (6km) off the California coast. Currently plants are growing inside originating from seeds encased in the sea floor sediment. 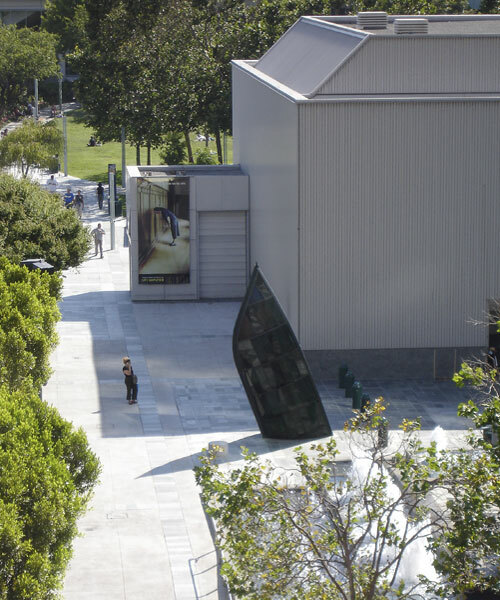 A recent project, Yerba Buena Complex, 2008, extends and contexturalizes Deep Gradient/Suspect Terrain.., further into the Yerba Buena site.